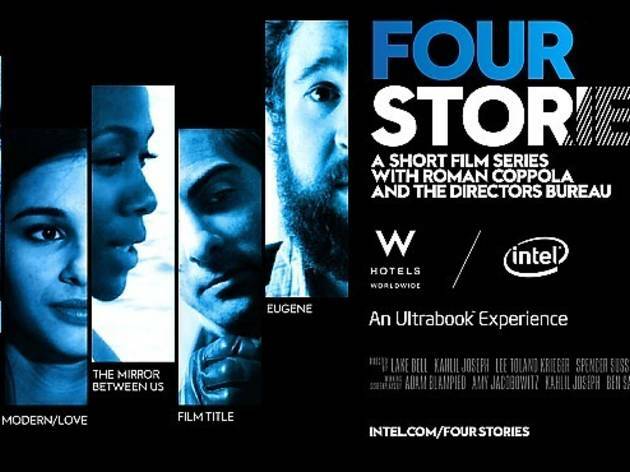 Up-and-coming filmmakers mix with Hollywood glitterati at the US premiere of this short-film series competition, hosted by writer/director Roman Coppola (son of Francis Ford and Eleanor, sib to Sofia and Gian-Carlo). 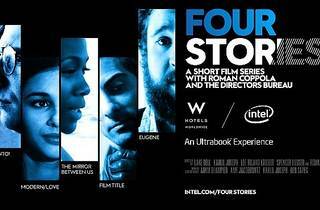 Over the summer, the Four Stories Competition challenged aspiring screenwriters to submit 10-minute scripts—the two caveats being they must feature an Intel Ultrabook and be set in a W Hotel (a nod to the sponsors, naturally). From hundreds of submissions, the judges picked four winners whose scripts were produced. The winners' short films will be screened tonight at Bruin Theater—961 Broxton Ave, (across the street from Westwood's Bruin Theater)—along with an original short by Coppola himself. Stick around after the show for a Q&A with Coppola. Admission is free but spots are first-come, first-served, so RSVP online and show up early.